The next step up from push sweepers. 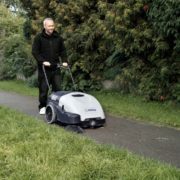 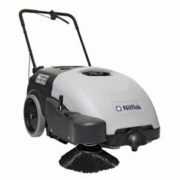 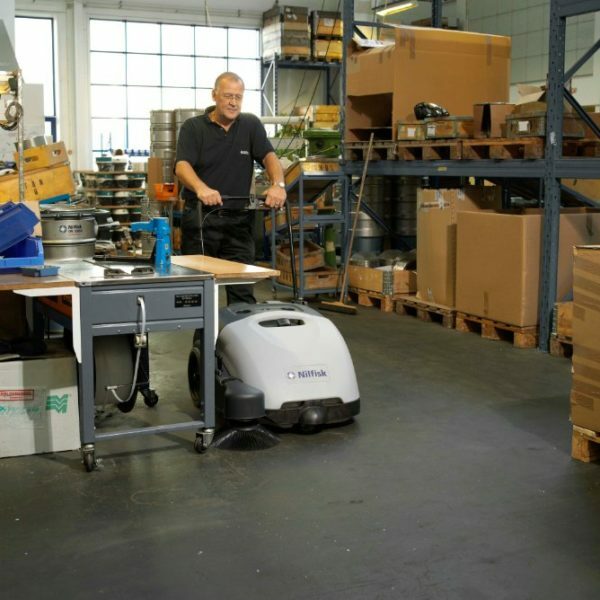 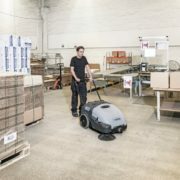 This battery powered self propelled broom vacuum sweeper is a truly versatile machine that can go anywhere and be used for cleaning everything from retail areas to petrol stations. 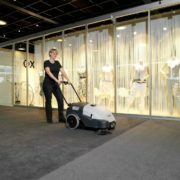 With the carpet kit, it can even clean soft floors, including carpet. 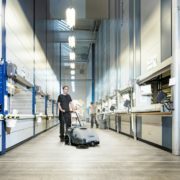 <ulWhat’s more, it comes with an onboard charger as standard to ensure you save time. 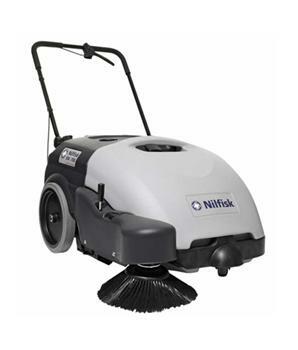 It cleans so silently that it can be used even in the most noise sensitive areas. 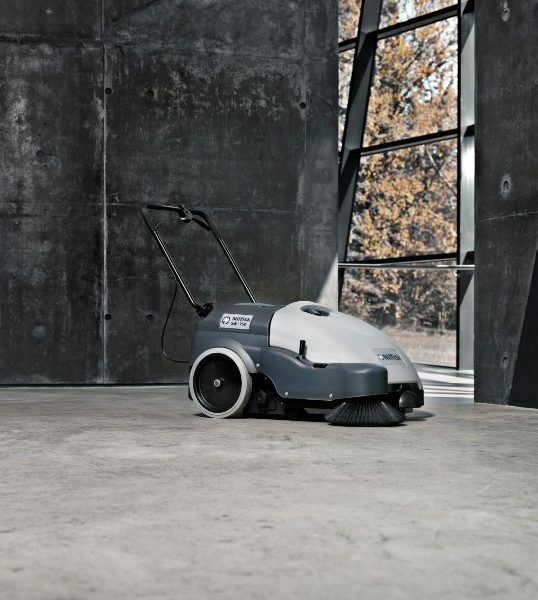 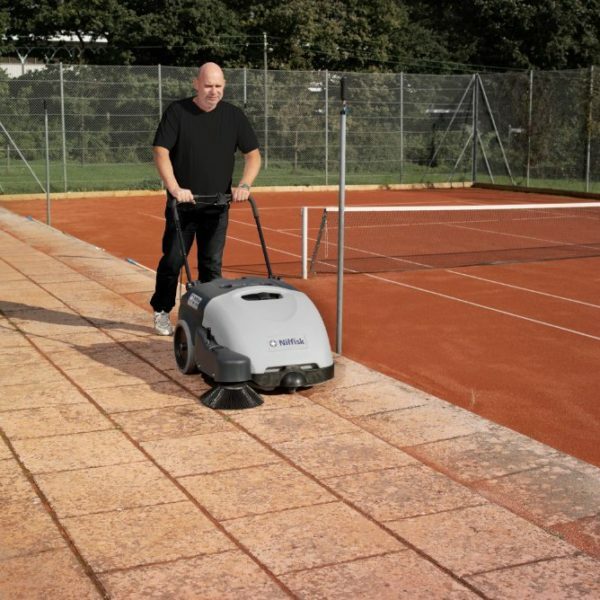 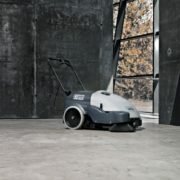 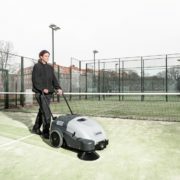 At just 59dbA, the SW750 sweeper is suitable for sensitive daytime and night time cleaning without risk of causing disturbance. In fact, the entire design is so efficient, and so cleverly thought-out, that productivity is assured even with an inexperienced operator, while operating costs are minimized. 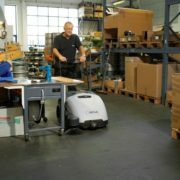 Standard delivered with battery and onboard charger.